Atheists, agnostics, pagans, and more: do they have a place in the pro-life movement? Lately I’ve been noticing a new pro-life trend. Quite active on Facebook are groups and individuals who condemn any attempt to convert an abortion advocate without taking a religious approach. What I can glean of their message from social media and blog posts is that unless you lead with Jesus, you are denying His power to change that person’s mind. In other words, taking any approach other than “here’s what the Bible has to say about abortion” is irreligious folly. I have several issues with this, but let’s start with my own personal experience. I’ve shared my conversion story with Live Action readers and in The American Feminist, the magazine of Feminists for Life of America, so I won’t rehash it again. But allow me to reiterate that had my lovely friend, with whom I chose to debate abortion one fateful night, used religion as a basis for her argument, I not only would not have been convinced, I would have dismissed her entire thesis outright and probably ended the conversation. Would I have been, frankly, an idiot for doing so? That is debatable. (By which I mean: yeah, kind of.) But I would also not have become, that very night, a pro-life advocate. I was converted on the basis of human rights, science, and reason. Was God behind it? In my opinion, yes, He was. He is always behind Truth. I believe God created human rights, science, and reason. So using these to argue is not terribly different from mentioning Him by name. 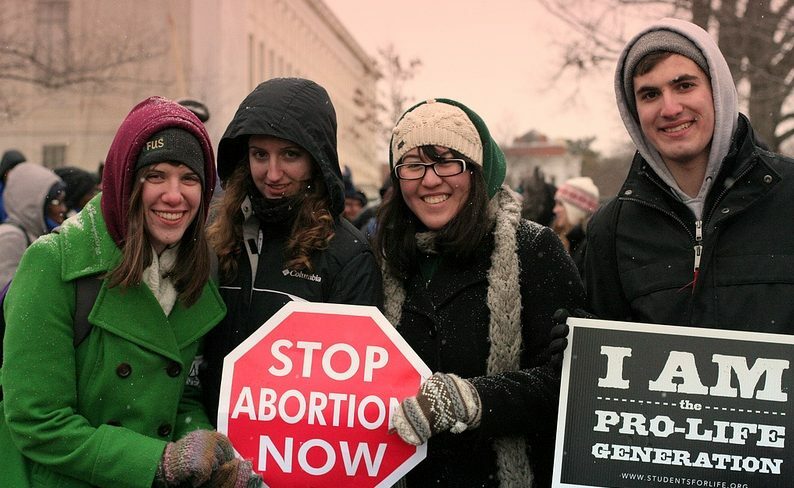 Because my friend was, to get Biblical, “wise as serpents,” I became pro-life that night. A year later, I was no longer an agnostic but a Catholic. Coincidence? I guess. If you believe in that sort of thing. I spent the first few months of my uncomfortable pro-lifeness (after initially trying desperately to become pro-choice again, and failing) splashing around in the shallow but welcoming online pool of the non-religious pro-life. There were pro-life pagans, agnostics, atheists, humanists, homosexuals, and so on. They, like I, had found the argument for the sanctity of unborn human life compelling enough without believing in a Christian God. For me, this new belief in the unborn led me directly – eventually – to that same Christian God. I doubt I am the only one for whom this has been the case. It has given me an even deeper love for the fetal among us: they saved my soul. So not only does a Bible-first approach to explaining the evil of abortion not work on everyone, it outright excludes a small but important faction of the pro-life community, whom I believe we should welcome. There might be a very profound message in that simple statement. If I care deeply about the soul of a pro-life pagan – and I do! – is it for me to tell her she has no place in our movement? Will that endear her to my religion? Will it go any way at all towards bringing her to understand the love of Christ? My goal as a Christian should be to bring Christ to everyone I meet. How best should I do that? By yelling Bible verses through a megaphone? By handing out pamphlets? By excluding them from the Godly work of protecting Life? I recall encountering, for the first time, the priest who would become my first pastor. I attended a tragic funeral for a young man at his parish. It was the second time in my life I had been in a Catholic church, and this happened one month after I became pro-life. (Again, “coincidence.”) Normally quite hostile to Christianity, I felt peace and – indeed – holiness in the sanctuary. I also felt what I would later come to know as the Holy Spirit emanating from Monsignor Donald Fischer. I would feel it every time I was in his presence. I would feel it in that same sanctuary when he confirmed me a Catholic, one year later. All this – all this Godliness – because my friend didn’t mention God. God has His ways. I believe they have been called “mysterious.” Perhaps we should be humble enough to accept they don’t always involve us being loudly right at everyone’s face. Are you right to say God is the number one reason to oppose abortion? In my opinion, yes. But being right is not always how you win an advocate for Life – or a soul for Jesus. It is a difficult thing to humbly submit to the will of God when nothing makes sense. Maybe pro-life paganism or agnosticism or atheism or homosexuality don’t make sense to you. Maybe they are an affront to you. But just like Craig Gross and his friend Ron Jeremy are both “for Ron,” aren’t we all working towards the same goal? Don’t we all want to protect life in the womb? Does God frown on you when you embrace a pro-life atheist or does He say, in the immortal words of Dire Straits, “That’s the way you do it”? I’m thinking it’s (something like) the latter, and I personally welcome – and rejoice in – all the pro-lifers. We may disagree about graphic signs, the death penalty, politics, and more, but any friend of the unborn deserves a seat at our table.